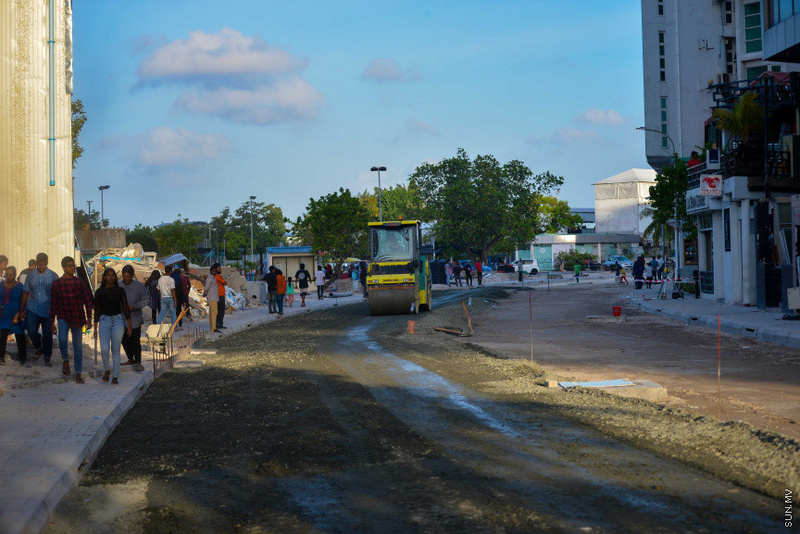 Tramac work as begun on the highway between Hulhule' and Hulhumale' which is connected to the bridge between Male' and Hulhule'. 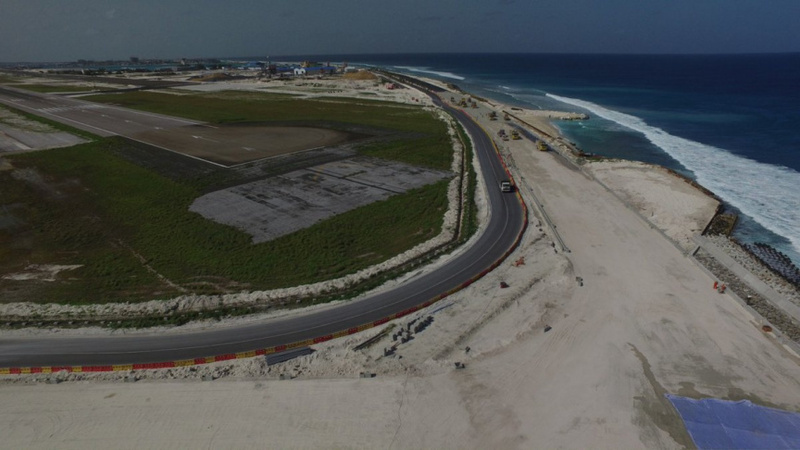 Photos released by the Maldives Airports Company Limited (MACL) show the tarmac work in progress on the Hulhumale' highway. HDC is working to complete the tarmac work before the bridge is completed. 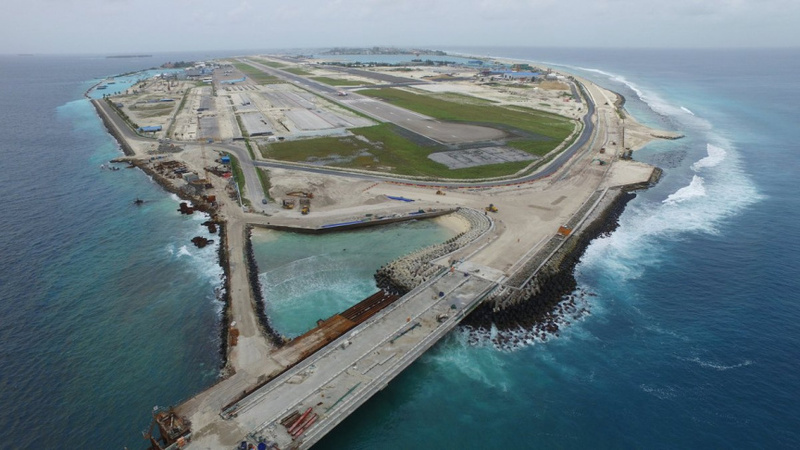 The highway between Hulhule' and Hulhumale' is four kilometers long and designed to meet international standards with four lanes according to HDC. HDC has said that the bridge can accommodate small and larger vehicles without difficulty and would have electricity, water and sewage systems upon completion. The 24 million dollar highway was contracted to be designed by built by Huang Engineering in China. Along with the work on the highway, tarmac work is being done on the connecting roads as well.